As an accredited paramedic program, our Paramedic training program provides the most thorough and comprehensive paramedic training to best prepare you for a career as a professional paramedic. This comprehensive Paramedic Program meets the standards of Title 22, from the California Code of Regulations, derived from the current National Standard Curriculum and formulated by the U.S. Department of Transportation. The Program is full-time lasting 6 months in duration and consists of the following components: Didactic, Skills Labs, Clinical Internship, Field Experience, and Capstone Field Internship. Upon completion of the Program, a Course Completion Certificate is issued allowing students to apply for the National Registry Exam and then Licensure. 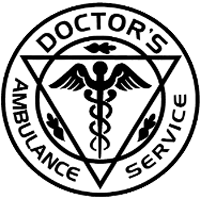 To provide the highest level of Emergency Medical Training and Education to persons seeking Employment, Career Development, or Personal Development in the Pre-Hospital setting, by exceeding National Standards and staying at the forefront of EMS Education. Through Commitment, Dedication, and Perseverance, we will become a nationally recognized Emergency Medical Training Program that specializes in all EMS certifications at the State and National levels, while always maintaining excellence within our program. 2. The school’s failure to pay refunds or charges on behalf of a student to a third party for license fees or any other purpose, or to provide equipment or materials for which a charge was collected within 180 days before the closure of the school. 3. The school’s failure to pay or reimburse a loan proceeds under a federally guaranteed student loan program as required by law or to pay or reimburse proceeds received by the school prior to closure in excess of tuition and other costs. 4. There was a material failure to comply with the Act or the Division within 30 days before the school closed or if the material failure began earlier than 30 days prior to closure, the period determined by the Bureau. 5. An inability, after diligent efforts, to prosecute, prove, and collect on a judgment against the institution for a violation of the Act. The Orange County EMT Paramedic program has been issued a Letter of Review by the Committee on Accreditation of Educational Programs for the Emergency Medical Services Professions (CoAEMSP). This letter is NOT a CAAHEP accreditation status, it is a status signifying that a program seeking initial accreditation has demonstrated sufficient compliance with the accreditation Standards through the Letter of Review Self Study Report (LSSR) and other documentation. Letter of Review is recognized by the National Registry of Emergency Medical Technicians (NREMT) for eligibility to take the NREMT’s Paramedic credentialing examination(s). However, it is NOT a guarantee of eventual accreditation. Enrollment Fee is due two weeks after acceptance into the program and is deducted from the total tuition. The balance of the tuition is due at orientation, unless the student has signed up for an approved payment plan. Payment Plans require the Enrollment Fee of $2,500.00 to be paid in full two weeks after acceptance into the Program. Students will then have (3) installments of $2,525.00 due on the first day of each month following the start date of the course, for 3 consecutive months. There is a $50.00 enrollment fee for all payment plans. The Paramedic Course offered by OCEMT is for certificate only. A course completion certificate shall be issued that meets the criteria of California EMS, Orange County EMS, National Registry of EMT, and is drawn from the National Highway Traffic Safety Administration. Upon successful completion of our 1296 hour Paramedic course, students who achieve a minimum of 80% on all exams, successfully complete their hospital clinical and field internship will be eligible to take the National Registry Exam. We do not offer licensure or a degree for this course. 8. Apply principles of emergency medical services operations, including considerations in ambulance and air medical transportation, multiple casualty incidents, gaining access to and extricating patients, hazardous materials incidents, and responding to WMD incidents. Students will progress through the Program by completing lecture, lab and clinical internships. The objectives for each course are explained in the syllabi for each course. Students are required to read the syllabus for each of the classes they are enrolled in. Students advance in the Hospital and Field Clinical program by meeting skill and assessment objectives along with affective behavior objectives outlined in the course syllabus. A minimum number of hours are required in various clinical settings as well as minimum skill competencies. 1. The Paramedic Program is comprised of 22 individual courses that must be completed in sequence to complete the Program. 2. Students must Pass each Course with a minimum score of 80% on the Course Exam, complete all Post Lesson Tests, and “Pass” the Skills Lab, to move on to the next course. 4. Students must complete the Clinical Internship with a “Pass” or Meets Expectations on their final evaluation completed by their Clinical Preceptor, Program Clinical Coordinator, Program Director, and Program Medical Director. Students who complete this course will continue in the Program to the Field Experience section. 7. Upon completion of Course 11, students are eligible to take the NREMT Exam and apply for licensure. Students completing this course will graduate the Program and will achieve a Course Completion Certificate. 1. Student must be a minimum of 18 years old and possess a High School Diploma, GED, and or equivalent. 2. 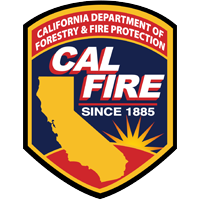 Applicant must posses a current State of California EMT Basic, or EMT Intermediate license issued by a State EMS Agency, or the California Fire Marshal’s Office, or the NREMT. 3. Applicant must have a current BLS for Healthcare Provider card issued through the American Heart Association. 4. Applicant must have completed an Anatomy/Pathophysiology (Individual or Combined) or have taken a Paramedic Preparation course from an accredited institution that includes it . 5. Applicant must have a minimum of 1200 hours of part-time or full-time experience as an EMT prior to the application deadline. Verification must be in writing from a supervisor or Department Head, on official letterhead. 6. Applicant must complete a Pre-Entrance Medical exam within six months of starting the course. This form must be completed and signed by a physician. 7. Applicants must have all vaccinations listed prior to starting their clinical internship and provide proof of their completed HBV series & titer at the time of application. 8. Applicants must complete a background history prior to entering the program. This does not include the DOJ Live Scan. 9. Applicants must provide a letter of recommendation from their current supervisor at their place of employment and one from an additional reference. 10. Applicants must submit the completed application with all supporting documents prior to moving on to the selection process. 7. The Administration will evaluate each candidate and reserves the right to select the most qualified students based upon their experience and education. This applies to all candidates and those who have experience outside of EMS, to include US Naval corpsman, DOD, and US Army Combat Medics. Exams are graded as a percentage and are also Pass/Fail. Students must achieve an 80% or above and will receive a Percentage Grade as well as a Pass, which allows them to move on to the next Course. Students who score less than 80% will receive a Percentage score, but will Fail the course and not move forward. Students must complete the following; Skills Labs assigned with the corresponding Didactic Courses found in the Course Catalog. Skills Labs are Pass/Fail and students must successfully complete each Lab to move forward to the next section. Skills Labs are used to train students in practical skills and ALS interventions, defined by the NREMT and local protocol. Students must Pass all Skills Labs to move on to their Clinical Internship. The Final Exams will be graded as a percentage towards the student’s overall Program Score. Students must receive an 80% on all (3) sections of the final exam to move forward in the program, and is also Pass/Fail. Students who do not achieve an 80% will not continue in the Program but will receive a percentage score. a) Must be current within the last 6 months and kept current while enrolled. b) Positive PPD, or history of TB requires a written chest x-ray clearance from MD within last 12 months. b) If you have not received a tetanus booster within the last two years, you MUST get a TDaP (tetanus, diphtheria, & pertussis) vaccination. a) Must be current each year or sign a flu declination form b) You must have this prior to clinical rotations. All students enrolling must speak English proficiently enough to have graduated from High School or to have achieved a GED. There will be no English services provided to those students who are not fluent in English; this course is instructed in ENGLISH ONLY. For the purpose of instructional education for Emergency Medical Technician Paramedic the following resources will be included with the tuition of the course to assist students equipment and/or learning resources necessary to be successful for completion of our program. Orange County EMT has an Articulation Agreement with Columbia Southern University. Students who complete the Paramedic Program through OCEMT and enroll in Columbia Southern University will receive 21 lower level semester hours in CSU’s degree programs. Note: Hours may also be divided as follows: 6 hours may be placed in the Natural Sciences and the remaining 15 hours in electives. Please refer to the university for admissions and transfer policies. The transferability of credits you earn at Orange County EMT is at the complete discretion of an institution to which you may seek to transfer. Acceptance of the Course Completion Certificate you earn thru OCEMT is also at the complete discretion of the institution to which you may seek to transfer. If the Course Completion Certificate(s) that you earn at this institution is/are not accepted at the institution to which you seek to transfer, you may be required to repeat some or all of your coursework at the institution. For this reason, you should make certain that your attendance at this institution will meet your educational goals. This may include contacting an institution to which you may seek to transfer after attending Orange County EMT’s Paramedic Program to determine if your Course Completion Certificate will transfer. It should be noted that Orange County EMT does not participate in Federal or State Financial Aid Programs. Advanced Placement Services At this time we do not offer Job Placement Services to candidates that have passed this program successfully. Orange County EMT has established well-respected professional relationships with many employers throughout Orange County. It is our desire to eventually become a recruiting platform for employment within these organizations. Orange County EMT does not offer housing nor do we recommend any housing/dormitory facilities. It shall be up to the prospective student to find their own housing while attending the Paramedic program. Orange County EMT does not admit students from other countries. It is not the responsibility of OCEMT to check the immigration status of our prospective students. A Department of Justice Background check will be performed for the EMT wishing to become licensed in Orange County in the near future. All instruction and audio/visual aids will be delivered in the English Language. Orange County EMT does not award credit earned from another training institution and/or college or university. The Paramedic Program is an intense, challenging course that includes protocols that are specific to Orange County. Any previous education in Health Science or Emergency Medicine will be beneficial to the student, however, will not count as credit earned for this course. Orange County EMT does not provide financial aid programs in any way. All costs that are associated with enrollment into our program shall be between the student and their financial institution. Orange County EMT does not provide distance education. Any student who receives an exam score less than 80% will be placed on academic probation for the duration of the course. Academic Probation consists of a signed document signed by both OCEMT and the student, which states the student has achieved an exam score below the minimum standard and is at risk of failing the course. Students shall attend all course hours unless arrangements have previously been made through the Administration. In these cases a maximum of 3 class sessions will be excused before a student is dropped from the course at the discretion of OCEMT. Any student who is absent for more than 3 class sessions without consent from OCEMT will be dropped from the class, or will be placed on a Leave of Absence. If placed on a Leave of Absence the student will have the option to enroll in the next course. Any student dropping the course must do so in writing by completing a Course Withdrawal form. The form can be accessed on our website under “Student Access” or by requesting one through the Administrative Secretary. OCEMT will not discriminate against enrolling a student from any gender, race, ethnicity, age, or disability. ALL students must meet the entrance requirements and are evaluated equally through the selection process. 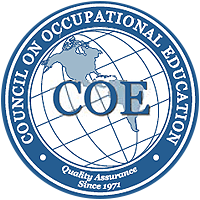 OCEMT will not discriminate against any faculty, employee, or prospective employee, based on gender, race, ethnicity, age, or disability. Faculty will be hired in accordance to the requirements listed in Title 22, Division 9, Chapter 4 of the California Code of Regulations. At no time will a student be substituted for staff during the Clinical Internship, Field Experience Internship, or Capstone Field Internship. “A student or any member of the public may file a complaint about this institution with Bureau of Private Post secondary Education by calling (888) 370-7589, or by completing a complaint form, which can be obtained on the Bureau’s Internet Web site. 4. Tattoos must be covered by long sleeves, pants or collared shirts. 1. The Emergency Medical Technician provides services based on human need, with respect for human dignity, unrestricted by consideration of nationality, race creed, color, or status. 2. The Emergency Medical Technician does not use professional knowledge and skills in any enterprise detrimental to the public wellbeing. 3. The Emergency Medical Technician respects and holds in confidence all information of a confidential nature obtained in the course of professional work unless required by law to divulge such information. 4. The Emergency Medical Technician shall maintain professionalism and demonstrate concern for the competence of other members of the Emergency Medical Services health care team. 5. An Emergency Medical Technician assumes responsibility in defining and upholding standards of professional practice and education. 6. The Emergency Medical Technician assumes responsibility for individual and professional actions and judgment in both dependent and independent emergency functions and knows and upholds the laws, which affect the practice of the Emergency Medical Technician. 7. An Emergency Medical Technician has the responsibility to be aware of and participate in matters of legislation affecting the Emergency Medical Service System. 8. The Emergency Medical Technician, or groups of Emergency Medical Technicians, who advertise professional service, do so in conformity with the dignity of the profession. 10. The Emergency Medical Technician will work harmoniously with and sustain confidence in Emergency Medical Technician associates, the nurses, the physicians, and other members of the Emergency Medical Services health care team. 11. The Emergency Medical Technician refuses to participate in unethical procedures and assumes the responsibility to expose incompetence or unethical conduct of others to the appropriate authority in a proper and professional manner. Before a graduate can obtain entry-level employment as a licensed paramedic, the graduate must complete the National Registry Certification Exam and the National Registry Practical Skills with a passing score. The NREMT Exam is offered at eight (8) Pearson Vue Educational Centers located throughout the State of California. The National Registry Practical Skills exam is offered at various colleges throughout California and can be found on the NREMT Website. After successfully completing the exams, graduates can obtain a State Paramedic license through the CA State EMSA office. Once received, candidates can apply for jobs as an Emergency Medical Technician-Paramedic. Affective Domain measures the student’s attitudes, behaviors, and professional attributes, as well as Classroom and Field conduct. Students will be evaluated in these domains upon completion of each Didactic Course and with each Major Evaluation during the Clinical Internship, Field Experience, and Capstone Field Internship. Students must consistently demonstrate these attributes to successfully complete the Paramedic Program. The affective domain is measured through 11 attributes that are worth up to 2 points each for every domain that the student displays. Students who receive an evaluation with a total score of 18 or above are considered to meet the standards of the profession and will complete the course without penalty. Students who receive a score less than 18 will have a 20% penalty deducted from their total Course points, calculated from the total points of the course. Examples of professional behavior include, but are not limited to: Consistent honesty; being able to be trusted with the property of others; can be trusted with confidential information; complete and accurate documentation of patient care and learning activities. Examples of professional behavior include, but are not limited to: Showing compassion for others; responding appropriately to the emotional response of patients and family members; demonstrating respect for others demonstrating a calm, compassionate, and helpful demeanor toward those in need; being supportive and reassuring to others. Examples of professional behavior include, but are not limited to: Clothing and uniform are appropriate, neat, clean and well maintained; good personal hygiene and grooming. Examples of professional behavior include, but are not limited to: Demonstrating the ability to trust personal judgment; demonstrating an awareness of strengths and limitations; exercises good personal judgment. Examples of professional behavior include, but are not limited to: Consistent punctuality; completing tasks, assignments on time, being to class on time, not leaving class early, no excessive absences. Examples of professional behavior include, but are not limited to: Placing the success of the team above self interest; not undermining the team; helping and supporting other team members; showing respect for all team members; remaining flexible and open to change; communicating with others to resolve problems. Examples of professional behavior include, but are not limited to: Being polite to others; not using derogatory or demeaning terms; behaving in a manner that brings credit to the profession. Examples of professional behavior include, but are not limited to: Not allowing personal bias to or feelings to interfere with patient care; placing the needs of patients above self interest; protecting and respecting patient confidentiality and dignity. Examples of professional behavior include, but are not limited to: Mastering and refreshing skills; performing complete equipment checks; demonstrating careful and safe ambulance operations; following policies, procedures, and protocols; following orders. 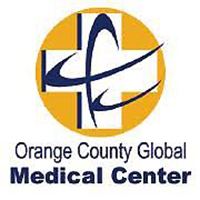 Orange County EMT has established a fair and equitable refund policy for the refund of tuition, fees, and other institutional charges in the event a course is canceled, a student does not enter the course in which they enrolled, or does not complete the period of enrollment for which the student has been charged. 2. Administration will confirm your request to drop has been received. 3. The date of confirmation will start the Refund period. 7. Refunds, when due, shall be made within 45 days of the last day of attendance if (a) written notification of withdrawal has been provided to OCEMT by the student, or (b) from the date OCEMT terminates the student from the course, or (c) OCEMT determines withdrawal by the student. 8. Retention of tuition and fees collected in advance for a student who does not commence class shall not exceed $100. If tuition and fees are collected in advance of the start date of a program and the institution cancels the class, 100% of the tuition and fees collected must be refunded. The refund shall be made within 45 days of the planned start date. If tuition and fees are collected in advance of the start date of class and the student does not begin class or withdraws on the first day of class, no more than $100 of the tuition and fees may be retained by the institution. Appropriate refunds for a student who does not begin classes shall be made within 45 days of the class start date. Students who have not visited the school facility prior to enrollment will have the opportunity to withdraw without penalty within three days following either attendance at a regularly scheduled orientation or following a tour of the facilities and inspection of the equipment. a) During the first 10% of the period of the didactic financial obligation, the institution shall refund 90% of the tuition. b) After the first 10% of the period of financial obligation and until the end of the first 25% of the period of obligation, the institution shall refund at least 50% of the tuition. c) After the first 25% of the period of financial obligation and until the end of the first 50% of the period of obligation, the institution shall refund at least 25% of the tuition. d) After the first 50% of the period of financial obligation, the institution may retain all of the tuition. 1. 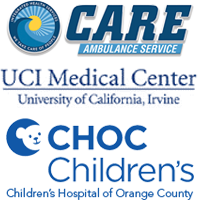 Orange County EMT shall maintain records of the name, address, e-mail address, and telephone number of each student who is enrolled in an educational program within this institution. a) The EMT-1 course completion certificate granted and the date on which that degree or certificate was granted. b) The courses and units on which the certificate or degree was based. c) The grades earned by the student in each of those courses. a) The educational programs offered by this institution and the curriculum for each. b) The names and addresses of the members of this institution’s faculty and records of the educational qualifications of each member of the faculty. 4. There was a material failure to comply with the Act or the Division within 30 days before the school closed or, if the material failure began earlier than 30 days prior to closure, the period determined by the Bureau. 5. An inability, after diligent efforts, to prosecute,, prove, and collect on a judgment against the institution for a violation of the Act. Check-out our additional EMT training courses as well as information about Tuition and our Payment Plan options. SPACE IS LIMITED FOR THE PARAMEDIC PROGRAM.